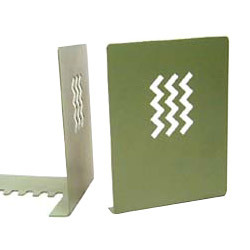 The product of book shelf's material is iron. 1. 1 set/polybag. 2. Inner box: 24 set/ctn. 3. N.W. : 14 kg. 4. G.W. : 16 kg. 5. 0.071/cbm. 6. The size: L135xW127xH168 mm.